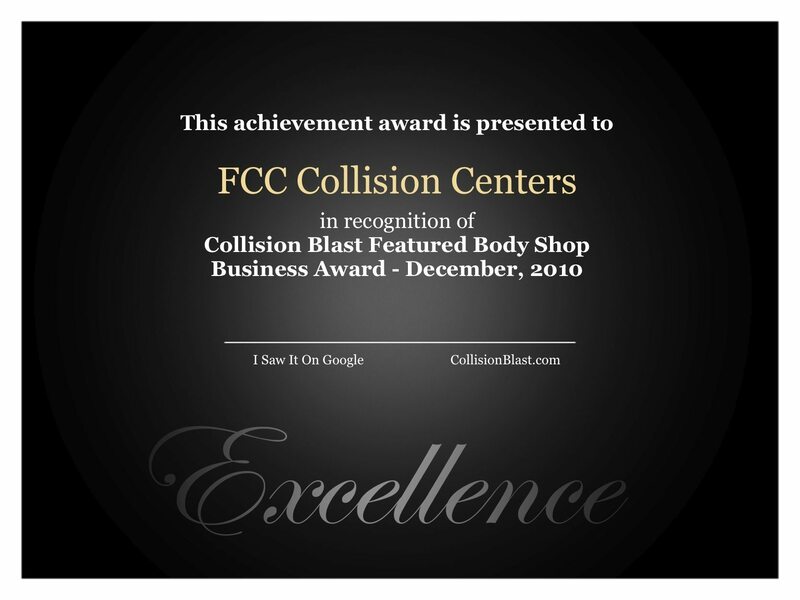 The December, 2010 Featured Body Shop Business is FCC Collision Centers located in California. FCC Collision opened the doors for business in 1975 in Mountain View, CA. FCC later opened a second shop in Milpitas, CA. FCC has found that over half of their customers are females.